If you feel like you are spending way too much time at your desk, you are probably right. The numbers agree, we are working many more hours and are not getting enough time to smell the roses, or the pines in this matter. 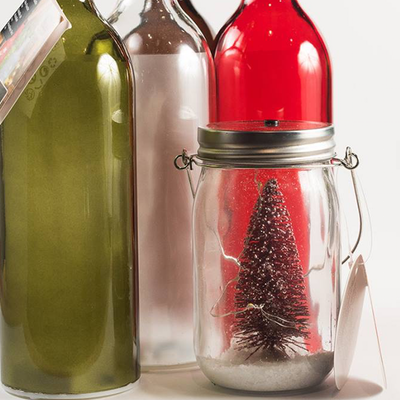 The phenomenon is that large that design and production companies around the world are producing cute and compact trees in a jar, like these available at Trend Factory, to warm up any space. Including your work place. We love them for their simplicity and for a little over 12 florins, they are the cutest little gift to give. Weather it’s a nice piece of furniture for your living room, a bedspread for your bedroom, cushions to make the colors of the season come alive in your kitchen or bathroom, this furniture store has it. Trend Factory was founded in 2009 with the mission of providing Aruba with the most outstanding European brands in decoration, textile and bathroom supplies, as well as the most modern line in outdoor furniture. Decoration pieces, like paintings, wall clocks and mirrors should transform your house into a home and with Trend Factory you can rely on having the leading home décor trends in every key piece.